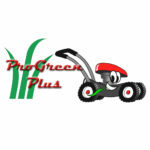 ProGreen Plus Adds New Carburetor Cleaning Technology To Service Bays - ProGreen Plus | Knoxville, TN | Lawn Mower Parts | Riding Lawn Mower Parts | ServiceProGreen Plus | Knoxville, TN | Lawn Mower Parts | Riding Lawn Mower Parts | Service | We've Got Your GRASS Covered! ProGreen Plus has partnered with Safety-Kleen to bring the latest in carburetor cleaning technology to our service bays. ProGreen Plus has just added Safety-Kleen’s Model 11 Immersion Parts Washer to their arsenal of tools to get your small engine running again. The Model 11 Immersion Parts Washer is a small, air-powered, agitating parts washer with a power head on the top of a drum. The air-operated motor turns 180 degrees back and forth to cause agitation in a basket beneath the liquid layer. This fluid motion causes dirt and debris to fall away from the parts in the basket. A bell timer notifies you if the parts have been too long in solution. This prevents softer metals, such as aluminum, from being damaged. The Immersion Parts Washer does a much more thorough job of cleaning carburetor parts than by with just using a typical aerosol can carburetor cleaner….and it is much better for the environment. This solution is perfect for cleaning carburetors in lawn mowers, ATV’s, weed eaters, trimmers, blowers, and more….and works on all brands such as Honda, Briggs and Stratton, Tecumseh, Kohler, Kawasaki, Yamaha, Polaris, Poulan, Craftsman, and all others. New carburetors can cost from $30 to $500 depending on the application. Our carburetor immersion cleaning service begins at only $14.99.